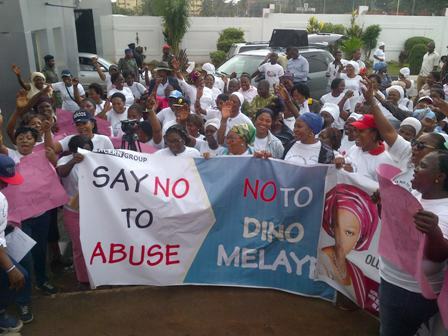 Scores of women in Lagos State on Monday stormed Governor Akinwunmi Ambode’s office to protest Senator Dino Melaye’s verbal assault on Senator Oluremi Tinubu and demanded apology from the senator. 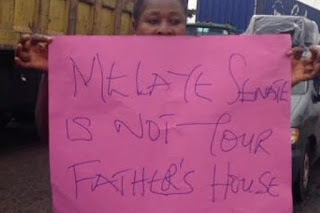 Melaye had recently told Tinubu, who represents Lagos Central Senatorial District at the Senate that he would beat her up and ‘impregnate’ her. 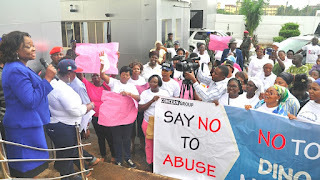 The women, under the aegis of Concern Group came to the Governor’s office to protest what they termed an assault of womanhood and delivered a letter to President Muhammed Buhari through Ambode to express their grievances over the attack on Tinubu. 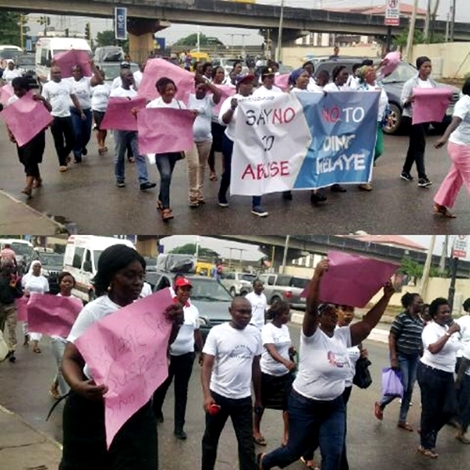 Spokesperson of the protesters, Mrs Anike Adekanye condemned the action of Melaye, describing it as disgraceful, disgusting, irritating, shameful and embarrassing to the collective psyche of not only women, but the entire nation. 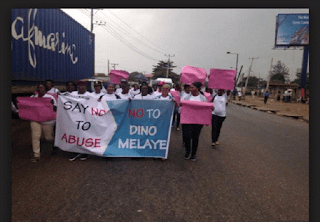 According to Adekanye, “Dino Melaye’s uncouth and unguarded vituperations against Senator Tinubu has not only brought unquantifiable shame to himself and Kogi West, but also to the Senate and the entire country. The group urged President Buhari to direct relevant security agencies to institute criminal action against Melaye should he fail to apologise within an acceptable time frame to serve as a deterrent to others as well as send a strong signal to young people who might have erroneously viewed Melaye’s “disgraceful action” as an ideal conduct. While receiving the protesters on behalf of Governor Ambode, the State’s Commissioner for Women Affairs and Poverty Alleviation, Mrs. Lola Akande assured the women that the letter would be delivered to the president and that necessary action would be taken on their request. She commended the women for coming out to defend one of their own, saying that the cause was worth coming out for, as the action of Melaye was totally condemnable and unexpected from a Senator of the Federal Republic of Nigeria. “If we don’t resist it now, they will continue to treat all of us in that manner and that is why we must stand against such behaviour now,” Akande said. While at the Lagos State House of Assembly, the protesters were received by the Deputy Speaker, Wasiu Sanni Eshilokun and about twenty lawmakers, who all condemned Melaye’s action and promised to transmit the letter to the president. 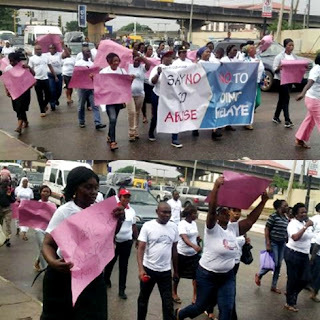 While also commending the women, Eshilokun said: “This is what should happen in any decent democracy rather than resorting to self help. 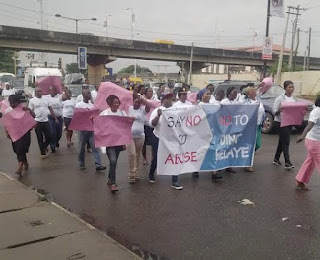 Let me say that we will deliver your message to Mr. Speaker and let me also tell you that we are not unaware of the verbal diarrhoea and vituperations of that irrational rabble rouser.